What is Counseling with Caelin Like? It's easy to get the wrong idea about what counseling is like. I smile a lot and like to laugh. I'm gentle and my focus is on building you up. I do everything I can to make sure that my approach fits who you are and what you want. I don't press my own ideas, beliefs or agendas. It promotes self esteem and confidence to really understand and feel in control of your own choices. Having a clear picture of why you do what you do empowers you to get what you want out of your life. 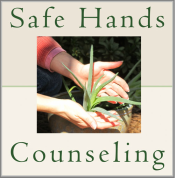 People often come to counseling because there is a symptom or set of symptoms that they want to alleviate. I have helped individuals overcome symptoms like depression, anxiety, addictions, excessive stress, repetitive/unwanted behaviors, insomnia, work related concerns, loneliness, low self-esteem, grief, childhood trauma, troubled family relationships, troubled friendships, insecurities, panic attacks, trouble with communicating, and difficulty with making life decisions. Describing symptoms is relatively easy but doesn't offer much help on creating solutions. Two people can have almost identical symptoms for completely different reasons. Figuring out what is creating the symptoms is the key. Once we have identified the source we can create effective solutions. The best solution is the one that fits you. Together we will explore the resources and strengths that you already have and the limitations of your situation to find solutions that work for you. If you are a person of faith, and so desire, I am happy to work with you to incorporate your spiritual life into our process.